Santa Clara, 12 July, 2018 – At the first IEEE 5G World Forum, that took place on 9 – 11 July 2018 in Santa Clara, CA, USA, the 5G Infrastructure Association (5G IA) and the 5G PPP played a key role in co-organizing the Worldwide 5G Industry Fora Session, and in presenting three Phase 2 Projects, showing demos and contents. 5G IA and IEEE 5G Initiative held a one day Worldwide 5G Industry Fora Session on Monday 9th July – 5G Trends and Collaborations: Regional Visions and Inter- Regional Cooperation Activities – that gathered 12 high-level speakers and panelists representing major regions and 5G Industry Associations around the world (North America, Europe, Brazil, China, India, Japan, Taiwan), including a keynote from Susan Miller, 3GPP-PCG Chair and CEO, ATIS http://ieee-wf-5g.org/worldwide-5g-fora-industry-session/. The European 5G Annual Journal 2018 was distributed at this occasion, meeting great success, https://5g-ppp.eu/the-european-annual-journal-2018-is-out/. IoRL Project (Internet of Radio Light) presented their paper “A 5G Radio-Light SDN Architecture for Wireless and Mobile Network Access in Buildings”. 5G-Xcast Project (Broadcast and Multicast Communication Enablers for the Fifth- Generation of Wireless Systems) organised a special Vertical Session titled “Disrupting Media & Entertainment in the 5G Era”, http://ieee-wf-5g.org/media-and-entertainment/. 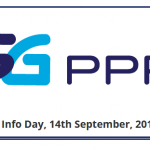 NGPaaS Project (Next Generation Platform as a Service) showed demos at their Exhibition Booth and organized a Workshop on “5G Cloud Native Design” http://ieee-wf- 5g.org/workshops1/#ws1a, illustrated by the 5G PPP just published White Paper ‘From Webscale to Telco, the Cloud Native Journey’, https://5g-ppp.eu/white-papers/. Jean-Pierre Bienaimé, Secretary General of 5G-IA, emphasized: “After the successful inter-regional sessions already organized in the two previous Global 5G Events in Seoul, Korea, and Austin, USA, this Worldwide 5G Industry Fora session in Santa Clara gave us the opportunity to listen to advanced presentations of the 5G roadmaps in key regions of the world, in the spirit of alignment towards a global 5G standard and harmonized spectrum bands, but also of specific visions such as rural and remote areas in Brazil and India”. Adam Kapovits, IoRL Project Coordinator, underlined: “The envisioned Intelligent Home IP Gateway component of the IoRL solution can serve as a neutral host offering service continuity for third party service providers”. Dr. Belkacem Mouhouche, 5G-Xcast Project Technical Manager, indicated: “Our session brought together industry experts from Nokia, Ericsson and Samsung with keynotes on disruptive immersive media formats which could best utilize the 5G network. Mobile Network Operators are increasingly interested in acquiring media assets, which enable provisioning of new services and act as potentially new revenue streams”. 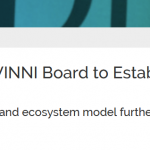 essentially today the open source community, including micro-services, the de-facto cloud industrial standard, and more generally the service based architecture, and the most crucial technical assets from 5G-PPP Phase 1 and Phase 2 projects”.